← U.S. Cyber Activity and Global Trade Transactions — They are Related. Global Tax Reform and International Action. The G8 promised in its “Lough Erne Declaration” to take the lead in promoting global tax. This hardline against tax avoidance is in part driven by glaring failure of multinational corporations from paying their fair share of taxes, by growing national budget deficits, and struggling national economies. This growing global demand for tax reform of global corporate transactions and various practices of multinational corporations generally is long-overdue. But such reform is a long process involving international negotiations and actions by national parliaments. Let’s see if the U.S. and the EU will follow through with their declarations through bilateral negotiations and through international organizations, especially the OECD and the G8 and G20 working groups. Other countries, developed and developing, are keenly interested. This includes, among others, Russia, Japan and Brazil. This is a critical matter of economic development and fiscal equity. Taxation needs to be linked to real economic activity. Reform should be of the highest importance for national and international policy makers. International taxation is an issue that greater cooperation. It is clearly required in order to alleviate the most damaging and outdated aspects of governing global transactions today in a multi-jurisdictional world. …. “G8 Leaders Promise Corporate Tax clampdown to bolster Economies.” Financial Times (June 19, 2013). The European Commission criticized opposition to this policy as opposition to globalization.” “European Commission President Criticizes Opposition to Globalization.’ New York Times (June 17, 2013). …. 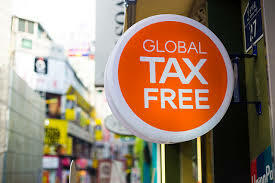 Other recent articles on global tax reform at the time of the G8 are: “Global Tool Sought to Curb Tax Evasion (OECD).” Washington Post (June 18, 2013); “The World Needs Global Tax Reform.” Financial Times (June 17, 2013); “U.K. Territories To Join Tax Agreement.” Wall Street Journal (June 17, 20013); “Talking Growth, Trade and Transparency.” Wall Street Journal (June 17, 2013). This entry was posted in Uncategorized and tagged EU tax reform, G20 and tax reform, G8 and tax reform, Global Tax Reform, MNC taxation, OECD and international tax reform, taxation and real economic activity. Bookmark the permalink.